Seagulls are great self-pilots and acrobatic performers. I did not realize that these two were in a “dog fight” (term for in-flight combat). 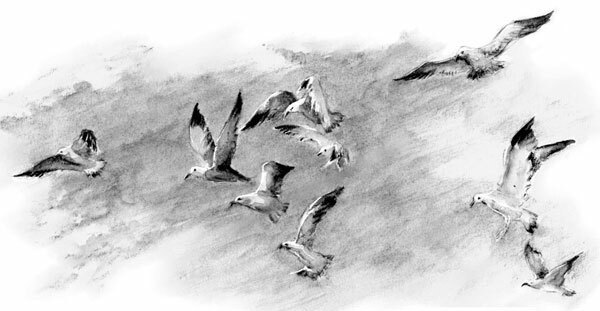 But I had watched one stealing the food out from another, then take off through an obstacle course of sailboat masts with the other in angered response, and it donned on me there is a constant show going on amongst the birds. They are not unlike children in the sand box. 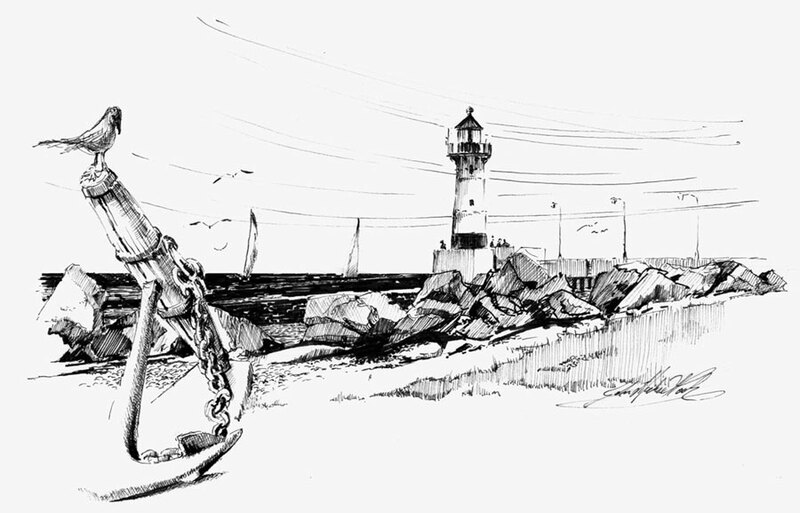 This entry was posted in Pen and Ink and tagged Duluth Mn., Seagulls on March 10, 2013 by eightdecades. Friends in Flight (20″x30″ acrylic with brush on Canson Illustration board). 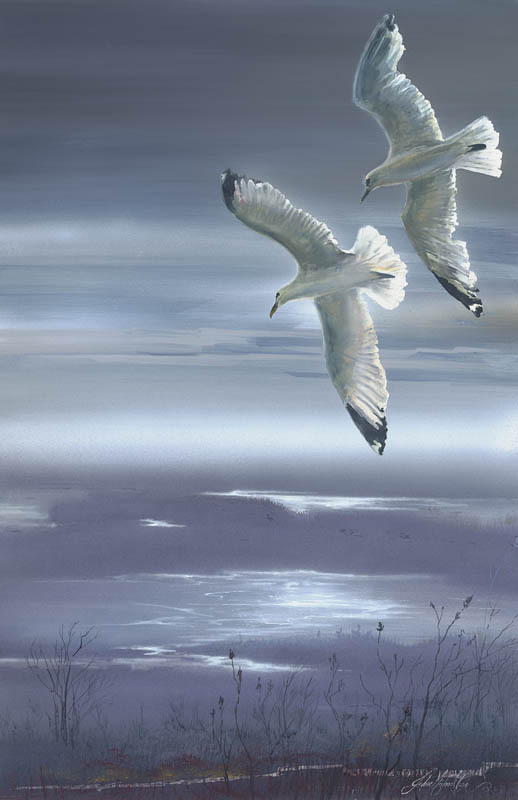 This entry was posted in Paintings and tagged Duluth Mn., Seagulls, St Louis River on February 25, 2013 by eightdecades.